I always have a camera over my shoulder when I am out walking with little b in his pram. One of the favorite spots to take a walk – that’s not to far from home – is Vestre cemetery. 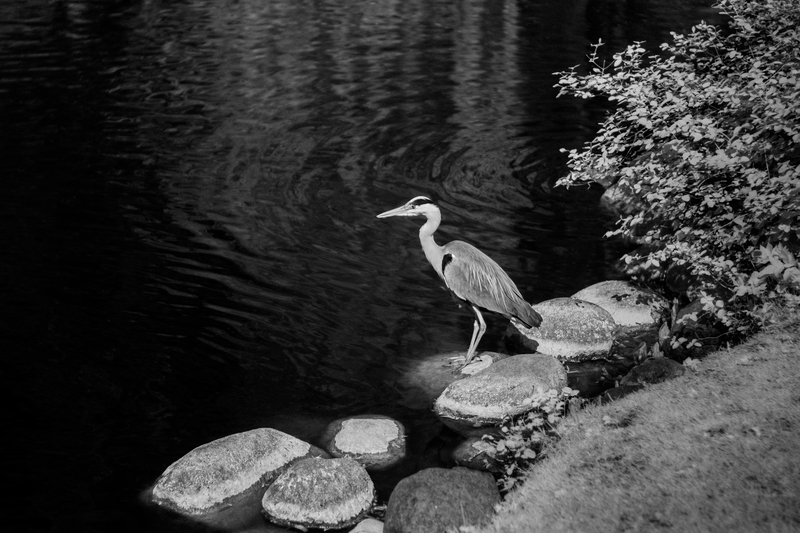 In here you’ll find this cozy little lake, where there are quite a lot of birds, one day I came across this heron, I only had my Fuji infrared camera with me that day, but that didn’t stop me. Here’s a comparison between the unprocessed – SOOC – and the processed black and white photo I ended up with. notice that I removed all the leaves in the water, because I found them rather distracting. Infrared heron by Bo47 is licensed under a Creative Commons Attribution-NonCommercial-NoDerivatives 4.0 International License.